Four singers and a pianist from Scottish Opera will be stopping off at Craignish Village Hall on Tuesday February 12 at 7.30pm as part of an 18-date tour across Scotland. Opera Highlights 2019 will feature works from Wagner to Gilbert and Sullivan. Go to scottishopera.org.uk to find out more. Colonsay Festival of Spring is set for April 29 to May 19 celebrating the island’s natural history. Each day will have a mixture of nature and craft activities, as well as guided walks and evening talks. Go to colonsayspringfest.com. Portsonachan Village Hall has a Burns, Kilts and Awe That quiz on Friday January 25 from 7.30pm. 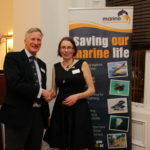 Mull and Iona Community Trust is hoping to add another Public Access Defibrillator to the 16 it already has in service on the islands. 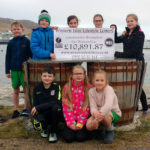 It is encouraging shoppers at Oban’s Tesco to use their tokens to vote for their project which also helps provide CPR training and contributes to the annual cost maintaining the defibrillators. 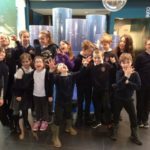 Mull Drama Festival runs from March 20 to March 22 this year and is looking for all schools, community groups and anyone else interested in taking part. Plays can be of any genre but should last a minimum of 18 minutes to a maximum of 40. To find out more or to register contact Elizabeth MacIver on 01688 302 114. A free story, song and rhyme session for babies up to pre-school children and their families is coming to Tobermory Library on Saturday January 26 at 2.30pm as part of the Scottish Book Trust’s Bookbug Sessions. Ulva School Community Association has its annual Burns Lunch on Saturday January 26 at the school. Expect Isle of Mull Haggis and all the usual toasts and musical entertainment. Adults are £15, children can get in for free but tickets must be booked in advance. Call 01688 500 301 or email annhayesmrcvs@btinternet.com.